Have you seen that awesome House of Stark t-shirt with the cool direwolf graphic on it? This is like the exact opposite of that—and we love it. 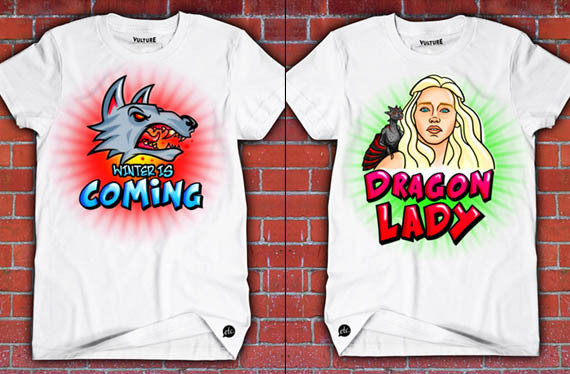 Vulture asked artist Jon Defreest to design a line of Game of Thrones tees that look like something you’d pick up at the boardwalk. They depict characters from the show in neon colors, complete with cheesy block lettering. Unfortunately they’re only a concept, but I bet if you showed them to an airbrush artist they’d recreate one for you—those guys don’t let pesky stuff like copyright laws get in their way.